This attack does 10 more x's. If your a elitric type you are burned and shocked. 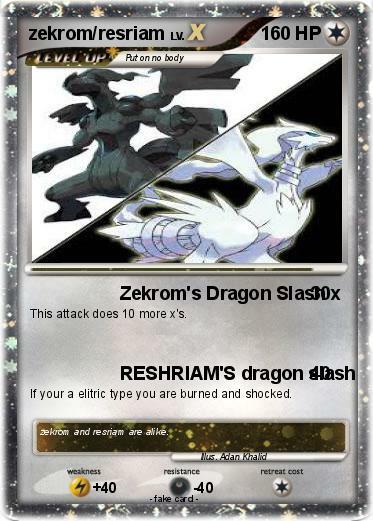 Comments : zekrom and resriam are alike.